Dr. Aronovitz is a hair transplant doctor in Michigan who brings the artistry and skill that hair restoration requires. The hair growth and results speak for themselves, providing a tangible, and sometimes life changing, testament of the technique involved to achieve an undetectable and natural hair transplant. Just one visit to our office and you will see how our staff will make you feel comfortable and confident that you are making the right choice. To decide whether or not hair transplants will work for you, it is first necessary to be examined by Dr. Aronovitz. In an initial face to face free consultation at his office, or via good quality photos, a plan can be initiated. We want you to feel good! Contact our office and ask about some of the great financing options available. Dr. Aronovitz is affiliated with many important medical societies, including The International Society of Hair Restoration Surgery (ISHRS) and The American Academy of Facial Plastic and Reconstructive Surgery (AAFPRS). These results demand a personal touch, and Dr. Aronovitz performs all of the hair transplants himself. He oversees every aspect involved, from the initial free consultation to the post operative check ups. If you are looking for a hair transplant doctor in Detroit we are happy to help. A hair transplant procedure is a simple outpatient procedure. Dr. Aronovitz performs a wide variety of hair transplant procedures in his Michigan office, tailored to your specific needs and desired results. There are many different techniques to help with facial changes. It is important to realize that we are all different with different problems and concerns. Let us help you answer questions you may have. 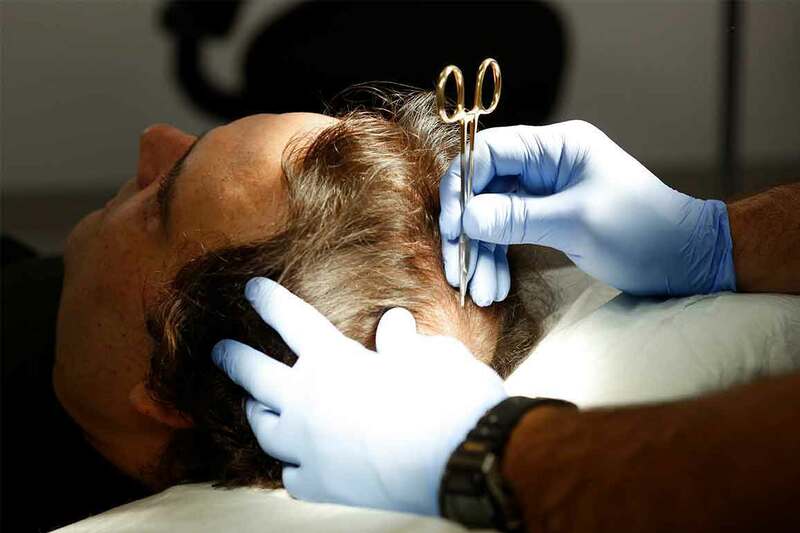 Providing hair transplants for Metro Detroit in our modern, state of the art facility, we will retrieve hair for transplantation from what is known as the “Donor Area” at the back of the head. The hair is removed and divided into follicles, which are the small organs that grow hair, and can produce anywhere from 1-5 hairs in each follicle. There is not one hair loss cure all! Your initial consultation with Dr. Aronovitz is free with no risk. During this time he will examine your scalp and determine the best treatment plan for you.